Origin: Bihar. 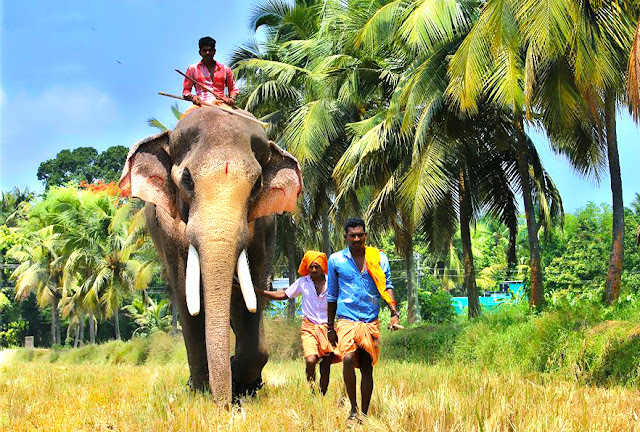 The second heighest elepant in Kerala. Height-10.3ft. He is the winner of Cherai Pooram, Chakkumarassery pooram, Parkkadi pooram and Cheeram kulangara pooram for several years. 1999: he fought with Thiruvambadi Chandrashekharan and severely injured him. 2013-01-27: Killed three women after he ran amok at a temple festival in Perumbavoor on January 27. The owner of the handsome Thechikkottukara Ramachandran, was paid Rs. 2.27 lakhs per day for the temple festival at Nenmara-Vallangi Vela.